Simply Dynamo: Welcome to the Simply Dynamo Blog! Welcome to the Simply Dynamo Blog! I wanted to welcome everyone to my new blog site "Simply Dynamo". 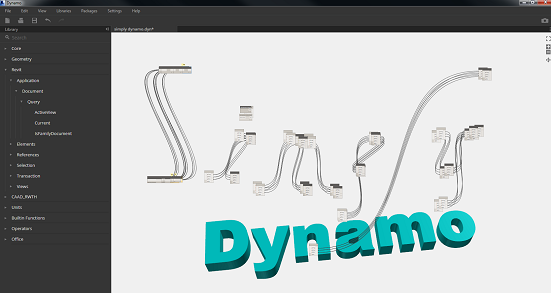 I started this blog site to be able to share everything there is to share about Dynamo. The first few posts will be about answering the question..."what is Dynamo?" As always you could follow my other Blog that focuses on complex geometry and Revit workflows "Simply Complex"
I'm glad to find this page. I really hope to see great things here!